Many of us are aware that research on non-consenting animals takes place behind the closed doors of universities all over the world. Animals are subject to captivity, restraint, and invasive procedures in the name of science, but the explicit details of these experiments are often well-hidden, both physically out of the public’s eye, but also through Queen’s refusal to share information about which animals are being subjected to experimentation. 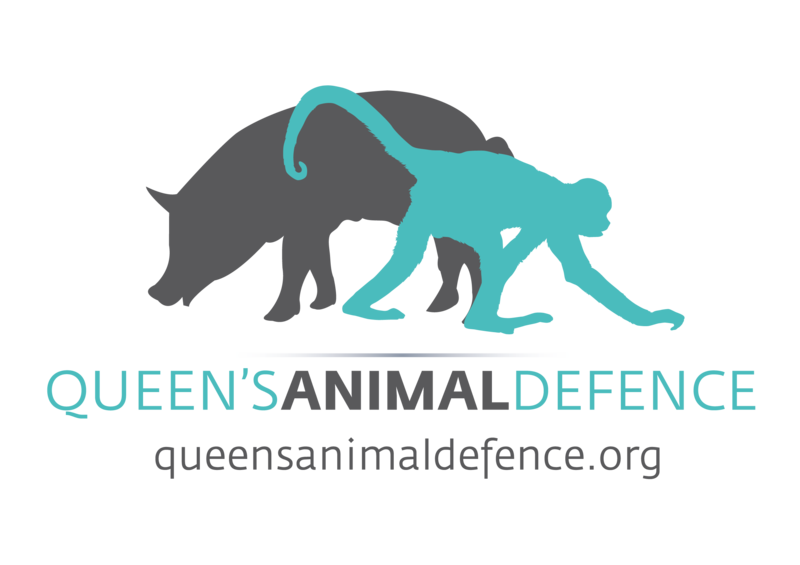 The activists of Queen’s Animal Defense seek to provide transparency to the students with an audit of the university’s animal testing policies on Freedom of Information Day. Zipporah Weisberg shares with us the results of QAD’s audit campaign. Queen’s University received a failing grade in the following five criteria: 1) Disclosing the number and species tested on, 2) Working with rescues to rehome animals after tests, 3) Engaging in debates with the public about the viability of animal models, 4) having non-animal based alternatives readily available, and 5) Taking meaningful steps away from using animal models in research. The QAD campaigns have exposed some egregious examples of experiments performed on non-consenting non-human subjects, such as rhesus monkeys who were starved for anorexia and reproductive research or cats who had vertebrae removed and/or damaged in their spine, but there are even more tests occurring that are not made available to the public. Zipporah stresses the importance of the individuality and agency of animals, despite their systemic oppression. Even in cases where they are anesthetized, there is still psychological torture, which is justified because they are classified “lab animals” instead of “domesticated animals”. Universities such as Queen’s also hide behind CCAC quasi-regulatory guidelines, which are are non-binding, and permit experiments of the highest level of invasiveness. Zipporah hopes that with increased transparency, students, educators, and the general public alike will be empowered to object to the unfathomable violence that takes place in the name of science. Tags: Animal Experimentation, animal research, QAD, Queen's Animal Defence, Queen's University, transparency, universities, vivisection, Zipporah Weisberg. Bookmark the permalink.